Hi there! I didn't publish any post yesterday. I was packing and preparing for my first week as an intern at a company in Malmö. Christina (Passionate About Polish, instagram: @cilp) invited me to live with her. How fun! 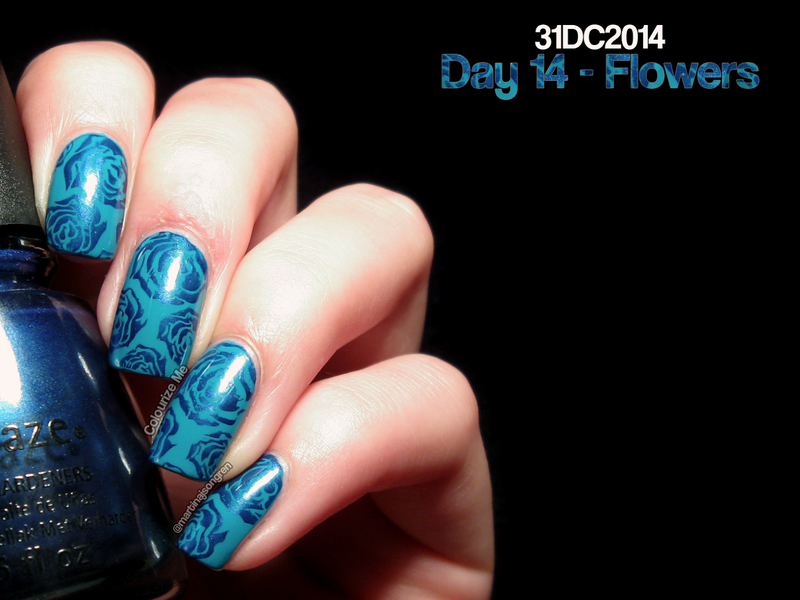 Today is day 14 and the theme is flowers. Take a look! 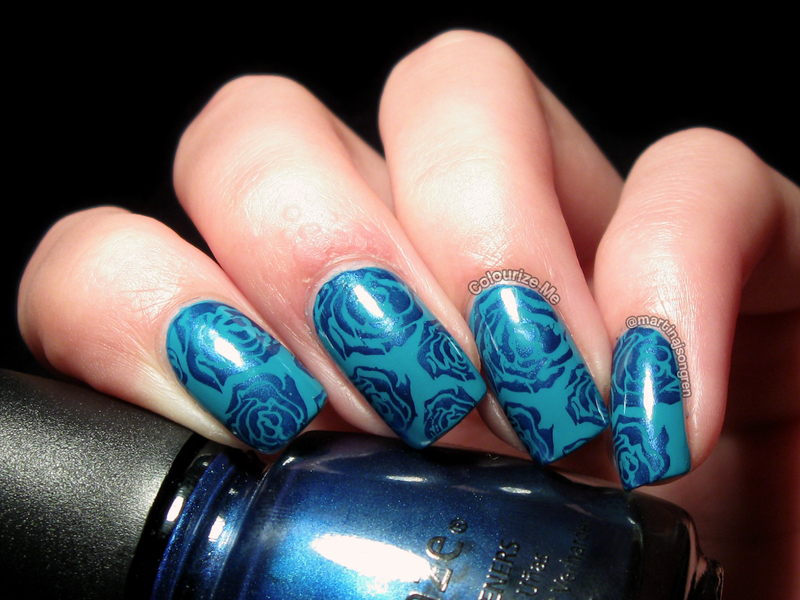 So, this was a fast and easy manicure. The base is Ciaté Headliner in two coats and then I stamped a rose pattern from Bundle Monster BM-323 using China Glaze Scandalous Shenanigans. It's not a super fun manicure, but it's quite simple and clean. I like it! 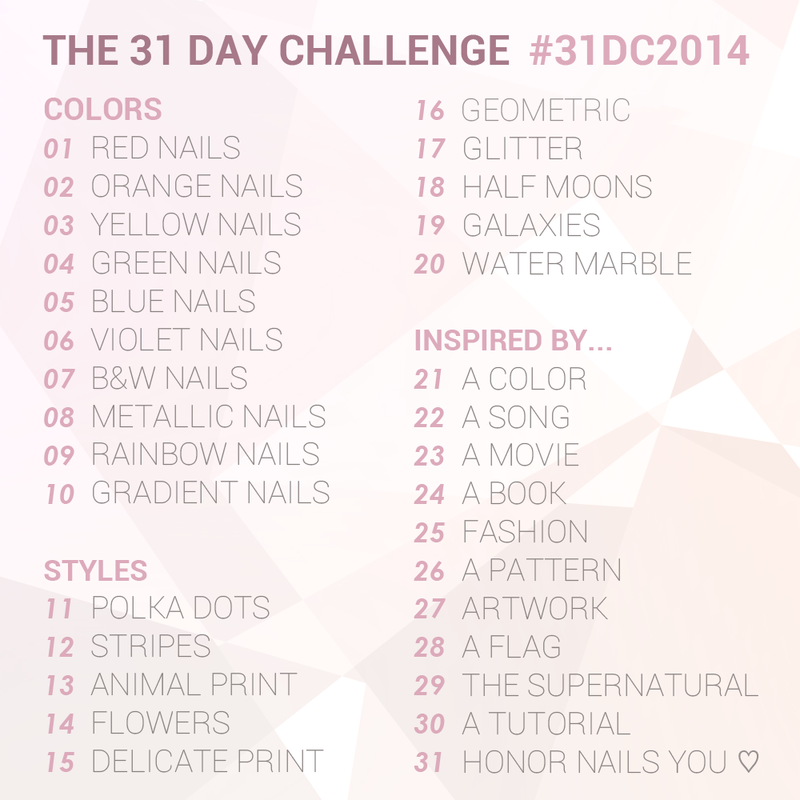 Check out day 14 from last years challenge, click click!